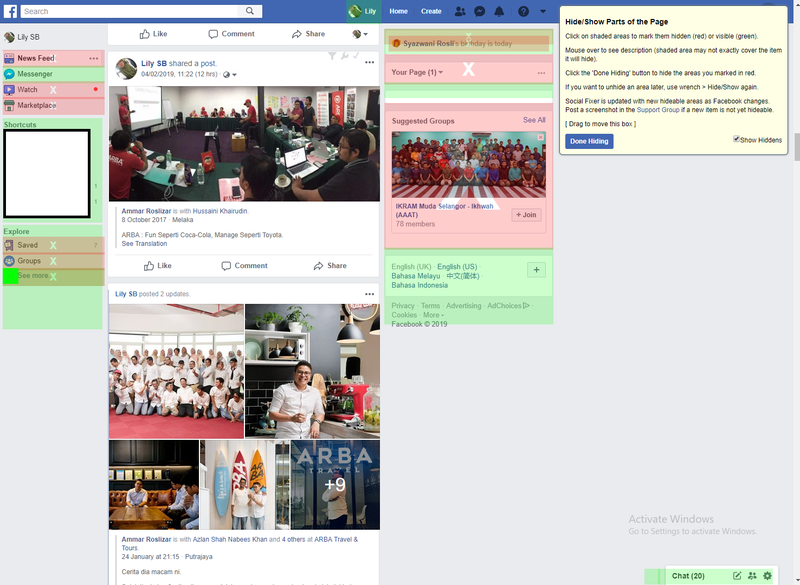 Facebook seems like having a very simple interface and has huge blank spaces but actually it has a lot of user interface components which are always switching (at the sidebar) and so, kind of disturbing. For me, I don’t want to look at many things. I just want to look at users feeds, open my window of soul through likes/reactions and share. Through some research, I bumped into this awesome chrome extension. 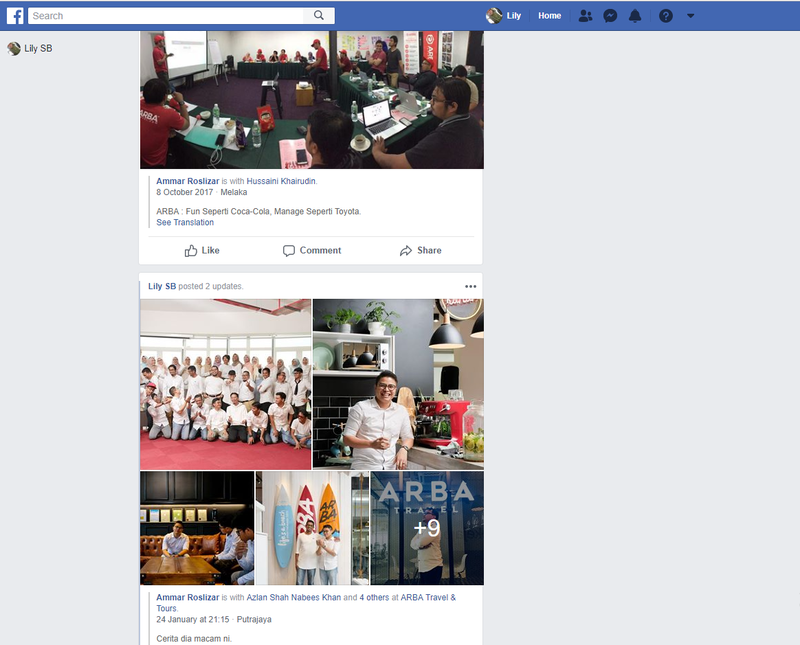 Last update was November 10, 2018. It can hide components that you don’t want to see. Quickly, here is how to set it up. Step 1: Download the chrome extension here. Run it. Step 2: Find icon that looks like spanner and click it. You actually can move it around. Step 4: Choose components to hide and click on them until the box turns from green to red. Step 5: Click Done Hiding (the blue button). It supposes to serve as done and hide. The instruction on the button is a little bit confusing.